The Y is a leading nonprofit committed to strengthening communities through youth development, healthy living and social responsibility. We work to ensure that everyone has the opportunity to learn, grow and thrive. To become a member online you need to first create an account. You may already have an account if you have been to the YMCA recently as a guest or to tour the facility. If your email is not in our system already, follow the Step-by-Step Online Join Guide below to create a new account. If you have visited in the past, click here! – If you think you may already have your E-mail address in our system, check by clicking ‘Sign-In’. 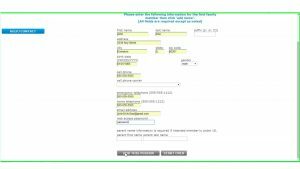 Fill in your E-mail address and password to log in to our system. – Once you have successfully logged on, you may want to update your information by clicking ‘My Account Info’ on the left-hand side of the page (here, you can add family members to your account and update your contact information). – When you are finished, click ‘Join’ on the left hand side of the page, then select the membership package you wish to purchase. Perpetual means that you are selecting an ongoing membership with a bank draft that you will set up online. – Double-check that the package you have selected is correct, then click ‘Continue’. You will be directed to a page that asks for your preferred payment method and account information. – Once you have filled out the required fields, follow the instructions to complete your transaction. – To finalize your membership purchase, please stop by the front desk to take your photo and pick up your membership ID tag. 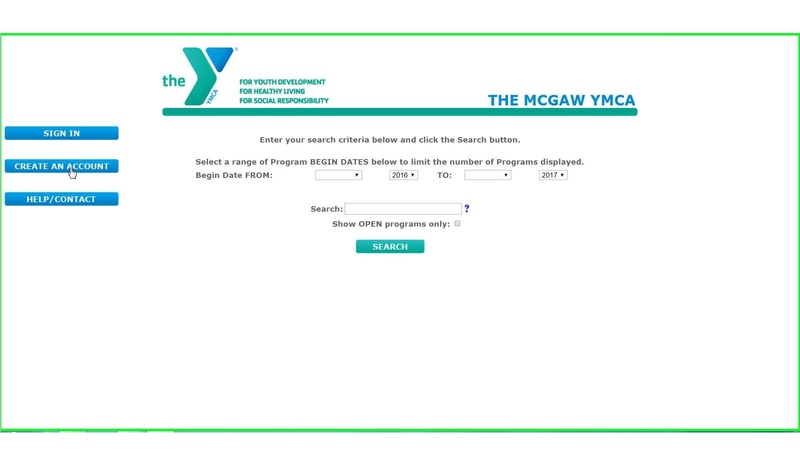 – Once this step is complete, you have joined the McGaw YMCA! **If you attempt to create an account and your email address is already in our system, you will receive an error message. 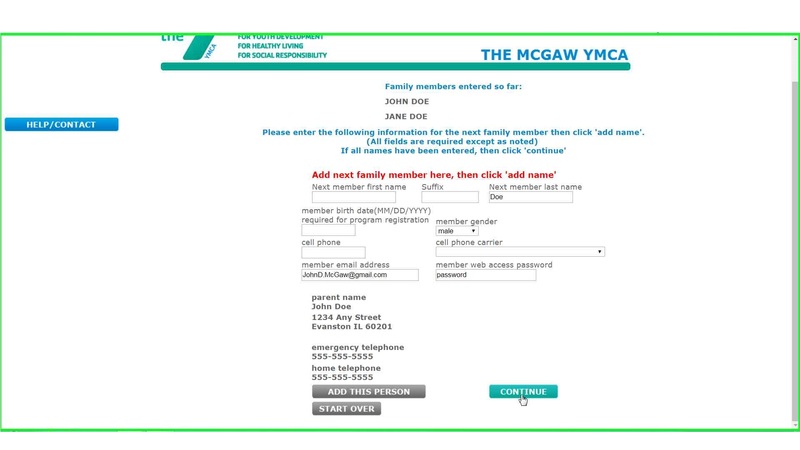 You can click ‘Forgot Password?’ to have your password sent to the email associated with your McGaw YMCA account, or you can contact us directly for assistance using the information below. Step 1: First, click the ‘Join Now’ button above (you may want open this tab in a new window so that you can keep the instructions page up for reference in a separate window). Once you are redirected, click ‘Create An Account’. 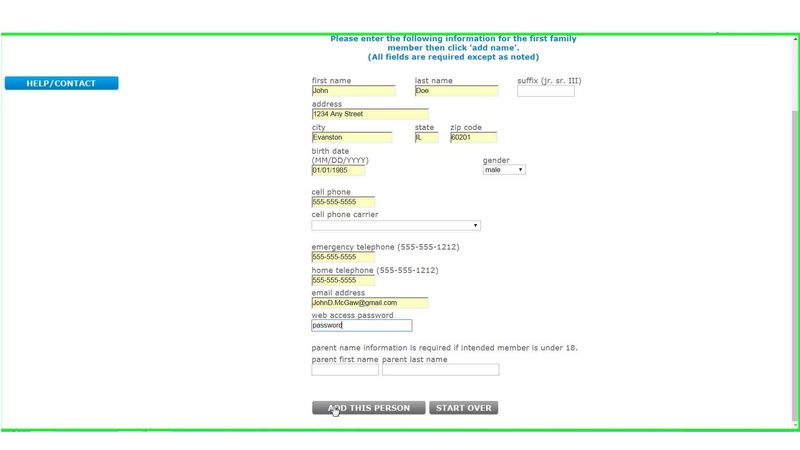 Step 2: Enter your personal information. Once you have completed all require fields, click ‘Add This Person’. Step 3: If you would like to add another family member to your account, enter their information and click ‘Add This Person’. This step may be repeated for all family members that reside in the same household. Once you have entered all of the members you wish to add to your account, click ‘Continue’. Step 4: Now that you have created your account, click ‘Join’ on the upper left hand side of the page. Step 5: Select the membership package you wish to purchase, scroll to the bottom of the page, and click ‘Continue’. Step 6: Double-check that the package you have selected is correct, then click ‘Continue’. You will be directed to a page that asks for your preferred payment method and account information. Once you have filled out the required fields, follow the instructions to complete your transaction. To finalize your membership purchase, please stop by the front desk to take your photo and pick up your membership ID tag. Once this step is complete, you have joined the McGaw YMCA! We invite you to come by the Y for a tour of our facilities. It’s easy to join, just talk to any one of our member relations staff. There is no contract. Most people choose to pay by monthly draft, but it is also possible to pay a year or six-months ahead of time. You may need to bring in your Federal 1040 to confirm your membership rate. If you’d like to speak with somebody at our member relations desk please call 847.475.7400 ext. 0 or contact info@mcgawymca.org. We want to open the Y’s doors to everyone and make sure that nobody is turned away because they can’t afford their membership fees. That’s why we base our fees on household income and family size. Single Adult Family- 1 adult and children less than 19 years of age, unless child is less than 23 years of age and enrolled as a full-time student or claimed as a dependent. Families with Children (2 Adults) – 2 adults residing in the same household and children less than 19 years of age, unless child is less than 23 years of age and enrolled as a full-time student or claimed as a dependent. Families without Children (2 Adults) – 2 adults age 19 and older residing in the same household. Families with Children (3 Adults) – 3 adults residing in the same household and children less than 19 years of age, unless child is less than 23 years of age and enrolled as a full-time student or claimed as a dependent. Families with Children (4 Adults)- 4 adults residing in the same household and children less than 19 years of age, unless child is less than 23 years of age and enrolled as a full-time student or claimed as a dependent. Family memberships consist of 1-4 adults residing in the same household and children less than 19 years of age, unless child is less than 23 years of age and enrolled as a full-time student or claimed as a dependent. 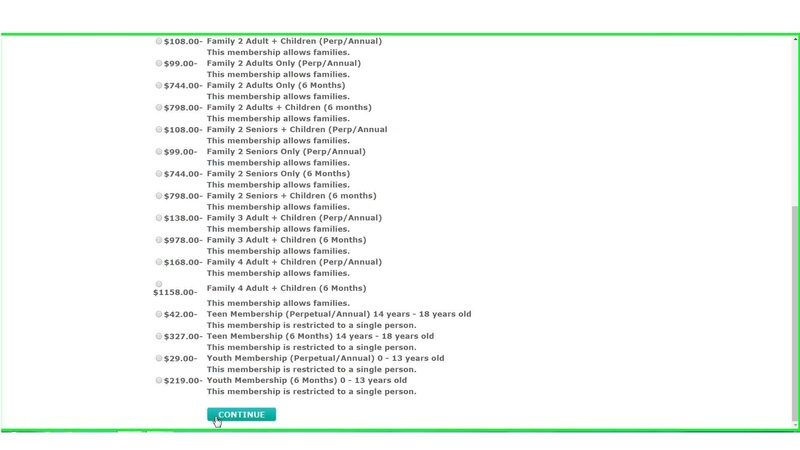 Cost of membership is determined by the number of adults included on membership. If a member age 19-23 cannot be claimed as a dependent or a student, they will be determined an additional adult on the membership and price difference will apply. In order to claim a member age 19- 23 as a dependent child, the primary member must provide proof of status as a student, or proof of dependent status as shown on the most recent form 1040. When a child member reaches the age of 24, the primary member will have the option of removing them from the membership to maintain price, or upgrade to a higher family membership. We know that for some, this still does not make the Y affordable. So we have an annual fund that provides scholarships (along with many other things) to those who cannot pay for their own membership. Everybody can contribute to this fund and every donation, no matter what size, directly supports people in your community. 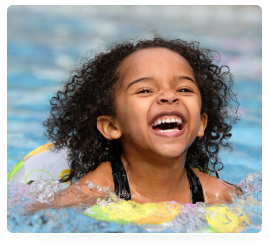 Scholarships make it possible for kids to learn to swim, or participate in an after-school program where they can get help with homework and learn new skills that broaden their horizons. Scholarships might mean a first-ever chance for a kid to experience all the personal growth that comes with a two-week stay at overnight camp, or getting the head start in life that a developmental day care program provides. However they are used, scholarships mean giving all the youth in our community access to activities that will eventually make the whole community stronger. Free parking. Unlimited guest passes. Two hours of free childcare with a family membership while you work out. Member rates and advance registration for our programs and classes. Membership privileges at more than 2600 Ys across the country. Your choice of over 100 free group fitness classes and a Wellness Center orientation. The Y is much more than only a place to work out, but your membership fees only cover our overhead costs. That’s why we have to rely on donations to ensure all our other programs can keep running. We want to make a lasting impact in our community through the programs we provide. Members of other local YMCAs in good standing (within the Chicago metropolitan area) are welcomed to the McGaw YMCA at no cost up to 12 times per calendar year. 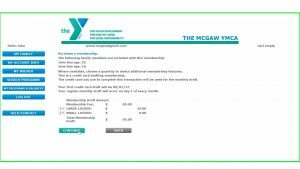 If a member of another local YMCA wishes to use the McGaw YMCA more than 12 times per year, a fee of $15 per visit will be charged beginning with the 13th visit. All visits will be counted, regardless of the facilities used or class participation. 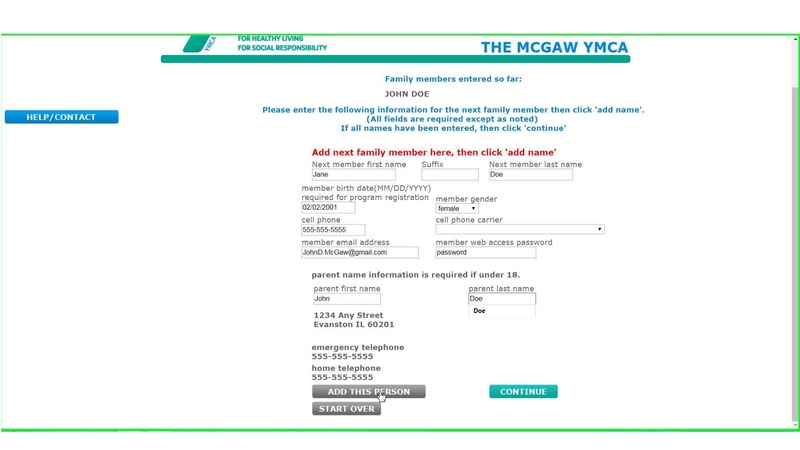 AWAY members must present a photo ID, YMCA membership card and complete an AWAY reciprocity form. Members of out of town YMCAs (more than 50 miles away) are welcomed to the McGaw YMCA at no cost for a period of 2 consecutive months. After the 2 month period, the out of town YMCA member must join the McGaw YMCA or pay a daily guest fee to continue using the facility. Members of other YMCAs pay non-member prices for classes and programs* and must also wait for the non-member registration period to register. 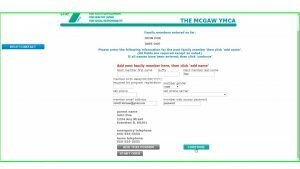 If a member of another YMCA wishes to join the McGaw YMCA, no joiner’s fee is required provided that he joins within 60 days of canceling his other YMCA membership. We are now partnering with AARP for current AARP Medicare Supplement plan holders to provide the BeWell fitness incentive program (membership discount). For AARP Medicare Supplement plan holders, the BeWell incentive is replacing SilverSneakers®, which we did not previously provide. You must provide AARP Medicare Supplement BeWell activation letter at the time of joining. If you do not have this letter, you can obtain it online or by calling the AARP Medicare Supplement team at 1-800-523-5800. If you are a qualifying plan holder you do not have to pay the joiner’s fee at any time. You receive a 50% discount on your membership. Q: I’ve heard about this new membership benefit at the YMCA because I have an AARP Medicare Supplement Plan. Can you tell me more about this? A: If you are an AARP Medicare Supplement Plan holder effective January 1, 2019, you will have a new benefit where you only have to pay half of the standard monthly McGaw YMCA membership rate. You will still be able to enjoy all membership services at this YMCA through the new program. Q: How much will I have to actually pay? I’m not sure what the 50% is off of? A: Your cost is 50% of what your standard membership rate would be at the McGaw YMCA. Q: Can I utilize classes and programs like a regular member? A: Yes, if you join the YMCA through this new program you have access to all regular YMCA classes and services as part of your membership. A: You will need to obtain an “activation letter” from the AARP Medicare Supplement Plan customer service center and bring it back to the McGaw YMCA. You can do this by calling 1-888-887-5963. They can email it to you for printing at home, or they can mail you a hard copy. Q: Where can I obtain information on the other benefits of my AARP Medicare Supplement Plan? A: For more information on your benefits about your AARP Medicare Supplement Plan you can contact its customer service center at 1-888-887-5963. Please note that the McGaw YMCA is not in a position to advise anyone on their insurance coverage. Please refer directly to your insurance representative. View all other policies here.